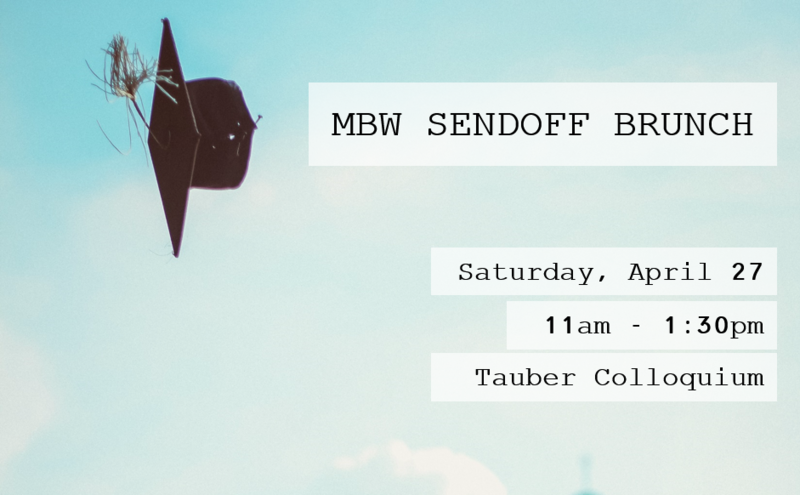 Please join MBW in saying au revoir to the fantastic women of the Class of 2019. This year, we'll be joined by several incredible alumni speakers who will share stories and advice about graduation and navigating big life transitions. This event is for full-time, part-time, and evening MBW members. Please RSVP to let us know you'll be joining us! If you would like to attend AND purchase swag, please sign up before April 9 at 11:59pm. Once you purchase your $25 ticket, please be sure to fill out this survey (https://forms.gle/5eUBfJrFAYFSGQx59) so we can order the right size quarter-zip sweatshirt for you! After April 9, MBW will release additional $5 tickets that do not include swag.